The famous American-Chinese artist Cui Ruzhuo’s solo exhibition of painting will be held at the Sanya Sports Stadium from Jan 25, 2012. 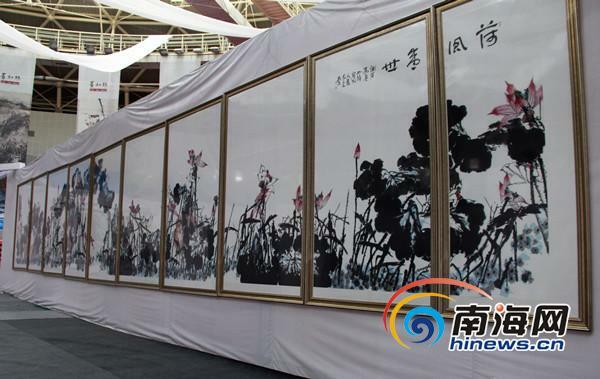 As the last stop of his exhibition tour among 16 cities in China, the exhibition in Sanya will be collected 100 paintings of Mr. Cui, including 35 traditional ink paintings, 2 hand scrolls, 6 calligraphies as well as 50 finger paintings. The prominent art works like Lotus, Snow Maple Tree and Finger Paintings of Landscape Album, reflecting the versatility and development of his craft, will also be included in this exhibition tour. Cui’s art is famous for its bold signature strokes and romantic rendering of nature and landscapes. His masterpieces have been collected by many national leaders, Thailand’s royal family, the United Nations, and several museums and universities around the world. Hosted by China Artists Association and undertaken by Hainan Publicity Department and Sanya Publicity Department, the exhibition will last for two weeks.